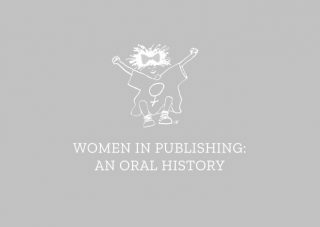 To my mind it was about making contacts with women across, across the world – other women in other publishing companies and bookselling. So we had someone called Anita McClellan and she lived in Boston. She was a literary agent. And she was our WiP USA person. She was the one person but she was WiP USA was Anita McClellan. And then there was something in Germany called Bücherfrauen, book women. What was the thinking behind setting up those international links? What might they give? Well be part of a kind of wider feminist network. I think. I mean, I think the International Committee was more involved in wider feminist issues than just publishing. It was involved in international feminist bookselling, Feminist Review, things like that. And meant building those sort of networks. So we went to the International Book Fair in Amsterdam and then one in Barcelona. I’d never been to Barcelona before. It was a crazy place. And that was quite amazing. There’s just all these stands, and all these wonderful women’s books everywhere and – it was fabulous. Very warm feeling of – that sounds corny – but sisterhood, really, of making connections. And actually, the world is often a smaller place than you think it is. You’ve all got shared values and shared concerns. And it was the good old days of feminism actually, in a lot of ways, I think. I miss those days. I wish my daughter had something like that now. I think that people were, I don’t know, more united somehow. Even though we didn’t have the web and all that kind of thing, I think people were just prepared to make more effort, in some ways. And people were, you know, proud to be in a cause and care about things. And it was, yeah they were good times! You felt part of a, kind of, wider network.